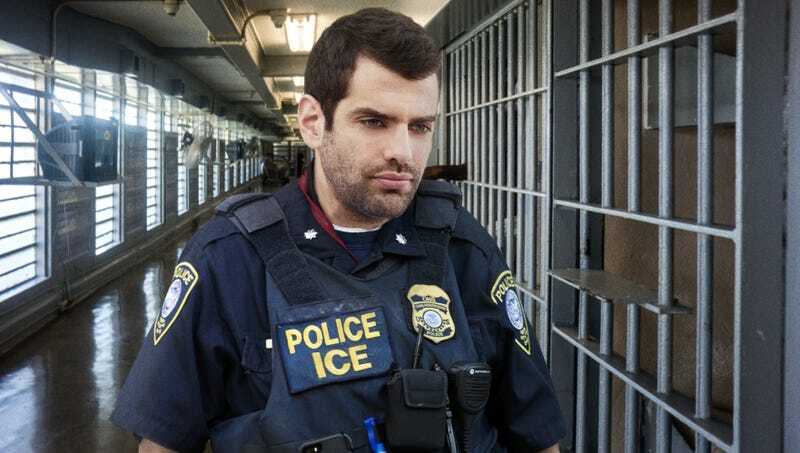 BROWNSVILLE, TX—Racking his brain for something that he could say to stop the child from crying, ICE agent Don Neville was reportedly trying Monday to think of a fun name for a jail cell before locking up a 5-year-old immigrant. “I really thought it would work when I told him he was going to the ‘fun cave,’ but he just started sobbing harder, so I’m running out of ideas,” said Neville, adding that the child had been weeping virtually non-stop since agents separated him from his parents hours earlier and had even rebuffed Neville’s efforts to give him a roll of paper towels to play with. “Jeez, I’m struggling here. How about ‘kid zone’ or ‘the playhouse’? If I can’t think of anything good, I guess I can just tell him that his best buddy the concrete bench is in there, and he can climb onto his pal’s back and pretend that yucky liquid on the floor is hot lava. Maybe he’ll calm down if I say that the jail bars are like a xylophone and he can play a happy tune on them? You know, this would probably be way easier if he knew any English.” At press time, Neville had resolved to simply comfort the immigrant child by informing him that he would soon be joined by hundreds of new friends.